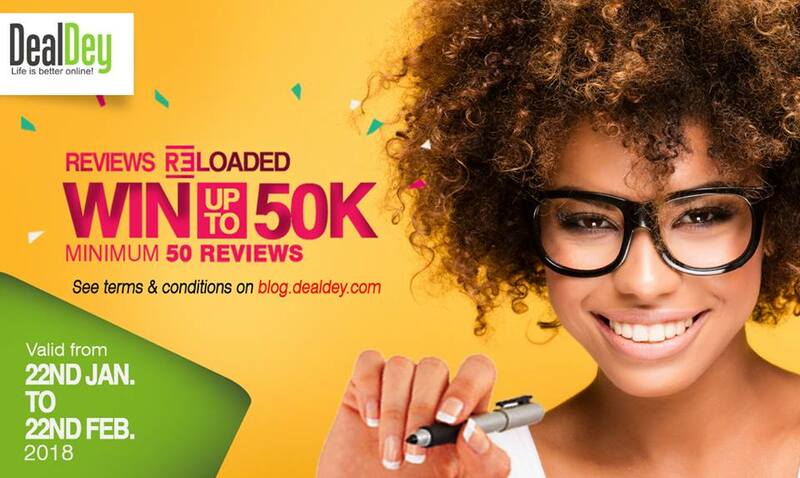 Dealdey Reviews is Back and Bigger!!! Win up to N50,000 for 50 reviews or More. Step 2: Search for any business you've visited & leave an authentic review about the Service you received. Step 3: Do this over 50 times & you will surely be a winner . Promo Runs from 22nd January to 22nd February, 2018. Please write reviews for separate 50 businesses.